Given the fact of evil in the world, is God's existence probable or not? Many Atheists believe that the existence of God is improbable given the presence of evil in the world. There are instances of evil in the world that an omnipotent, omniscient being could have prevented without losing some greater good or permitting a worse or equal evil. An omnipotent, omniscient, and omnibenevolent being would prevent those instances of evil. 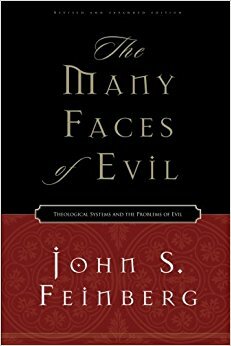 According to proponents of the argument, the kinds of evil in question are either evils for which there appear no reasons or the apparent overabundance of evil in the world. In response, the theist generally adopts either a defensive or offensive strategy. An offensive strategy involves presenting evidence in favor of theism. The theist may appeal to proofs and evidences of God's existence or offer an argument for God's existence from the fact of evil being in the world. The defensive strategy seeks to show that the fact that there is evil does not make theism so improbably that it is likely to be false. Feinberg presents three defensive strategies based on the nature of inductive arguments, the nature of probability, and limitations in human knowledge. Each of these hypotheses are consistent with the fact of evil but are not consistent with each other. Thus, an argument for any one hypothesis must also be the best explanation for the fact of evil. In order to show that the hypothesis, 'God does not exist', is the best explanation, the atheist must provided both evidence and a connection between the fact of evil and the hypothesis that God does not exist. On the latter point, there is no empirical connection between the status of God's existence and the fact of evil in the world. Consequently, Feinberg points out that the connection must be conceptual, proposing that a good God would do such and such or that a powerful God would be able to prevent X. However, it is not clear that any of this is an easy task for the atheist. For example, Alvin Plantinga argues that no form of probability succeeds in sufficiently lowering the probability of theism to render it improbable. He argues that if the atheist accepts that it is logically possible that 'God exists' and 'there is evil in the world' both be true, the atheist has a hard time arguing that it is improbable that God exists. As Feinberg comments, "having admitted that evil can fit with God's existence, how can the atheist then hope to show that evil doesn't fit with God and thus is evidence that makes his existence improbable?" Given this, the total evidence for the existence of God is beyond the evidence that the atheist brings in the problem of evil - that there is evil in the world. Thus, the theist is at liberty to suggest that even if the fact of evil alone lowers the probability of theism, the fact of evil must be considered in light of all the positive evidence for theism. To disallow any positive evidence would be akin to convicting a man of murder for owning a gun even though other evidence is available that tells us the man was no where near the victim at the time of the murder. Feinberg is skeptical that a theist and atheist would be able to agree on the admissibility of certain forms of evidence and he is even more skeptical of the possibility that atheists and theist will agree on the probability produced by evidence (as must be done when using Bayes' theorem, for example). Just what number should be assigned to religious experience (as either evidence or prior knowledge)? Finally, one might block the inference from evils that appear to be without reason to the conclusion that they do not have a reason. Just because we cannot think of a reason for a particular evil does not mean God does not have one. All this shows is a limitation of human faculties. It does not show a limitation of God's goodness or power. This strategy involves attacking the atheist's use of the principle of credulity (all things being equal, how things appear to us are good evidence for how things are). The trouble with the claim that evil provides evidence for the improbability of theism is that in order to appeal to the principle of credulity one must have a sufficient capacity to search the relevant vicinity and one must have executed said capacity (Welty, notes). But the hypothesis is a negative hypothesis. It appears to the atheist that God does not exist given the fact of evil. But since nothing has appeared to him at all, the atheist must admit that human beings are not able to search the relevant vicinity. This is because the relevant vicinity is the mind of God. The atheist has proposed that what is lacking in the universe is a reason in the mind of God for permitting a particular evil. And, the atheist reasons, if there is no reason to be found, then God does not exist. However, as William Alston suggests the data available is limited (just how much of the mind of God do we think we have available?) and of great complexity. Our cognitive abilities are simply not able to grasp what would be necessary to make the inference from apparent to actual. All of this sounds like a cop-out. Surely the theist must do more than suggest that human beings can't know what reasons God might have for certain kinds of evil (apparent gratuitous evil) or the the quantity of evil (too much evil in the world). However, the crucial point Feinberg makes is that it is the atheist who must show that those evils in question imply that God is very unlikely to have a reason for them. All the theist is doing is reminding the atheist that it is he who has the burden of proof. In this instance, the atheist must be able to show that it is unlikely that God could have a reason for the evil in question. But he cannot show this by merely pointing to the fact that we cannot come up with a reason. This is because God's reasoning is far greater in power and scope than our own. There is good reason to think that his reason, whatever it may be, is beyond our comprehension. Thus the atheist's argument fails.